In this Chicago Sun-Times file photo, a long-awaited meeting between Dr. Martin Luther King Jr. and Mayor Richard J. Daley takes place at the Chicago City Hall Thursday, March 24, 1966. Others include the Most Rev. John P. Cody (left), archbishop of the Roman Catholic archdiocese of Chicago; and (flanking Dr. King) Bishop Joseph Gomez of the African Methodist Episcopal Church, and Albert Raby, convener of the Co-ordinating Council of Community Organizations. Next to Raby is the Rev. Shelvin Hall. The two women are the daughters of a Baptist minister who invited Martin Luther King Jr. to his church on Chicago’s West Side in 1965, shortly before King moved into a tenement as he tried to desegregate one of the country’s most segregated cities. 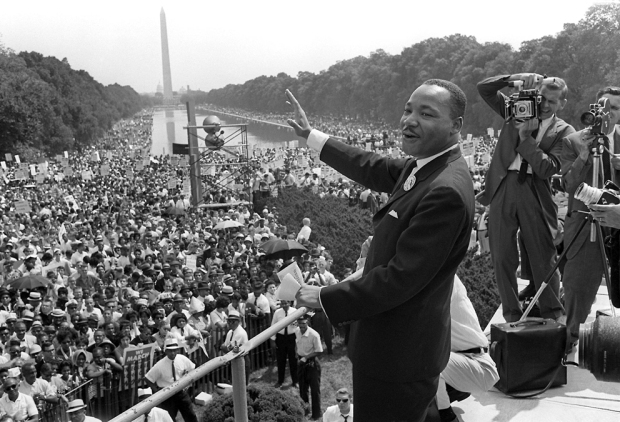 King spoke at the Rev. Shelvin Hall’s Friendship Baptist Church three times in the mid-1960s when he formed the Chicago Freedom Movement, and turned his principles of nonviolence to overturning redlining, steering and other discriminatory real estate practices. At one march in Marquette Park, King was attacked by a mob. On the 50th anniversary of King’s assassination, the sisters, Shelvin Louise Hall and L. Priscilla Hall, recalled the civil rights leader’s work and how he influenced both of them to go into law. They are among people across the country whose lives were touched at key moments by King. Shelvin Louise Hall met King in her father’s study in 1965 and she remembers the crowd he drew to hear him and his ability to speak for hours without notes. But one sentence jumped out at her: “He said the civil rights movement needs lawyers,” she recalled. She had thought she would teach, like her mother, but instead she became a lawyer and then an Illinois state judge. L. Priscilla Hall had already left Chicago and missed the chance to meet King, but she also was motivated by his campaigns. Like her sister, she became a lawyer and then a state judge, in New York. “We didn’t want to be part of the problem,” L. Priscilla Hall said, a reference to a slogan popularized by Black Panther member Eldridge Cleaver: There is no more neutrality in the world. You either have to be part of the solution, or you're going to be part of the problem. King was shot to death at the Lorraine Motel in Memphis, Tennessee, on April 4, 1968. 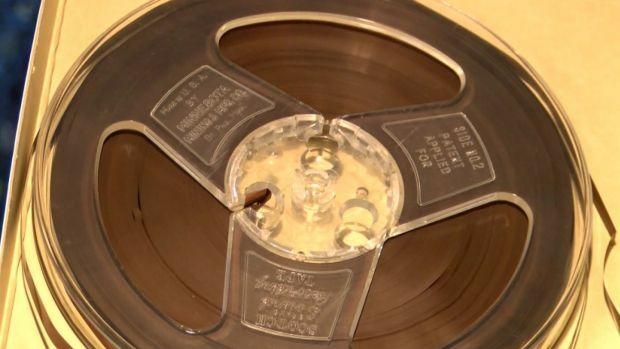 Brought to Memphis by a sanitation workers strike, he was killed by a gunman later identified as James Earl Ray as he stood on a second-floor balcony. Ray escaped but was captured two months later and died in prison in 1998. The motel is now the National Civil Rights Museum. The Hall sisters’ father, born in Texas and later appointed pastor of Friendship Baptist Church, was active in the civil rights movement. 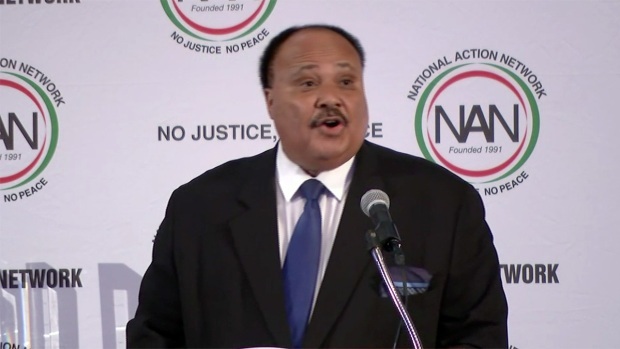 He marched with King after the Bloody Sunday civil rights march from Selma to Montgomery, Alabama, when state troopers assaulted marchers, and he invited King to speak when King was trying to force Chicago Mayor Richard Daley to support desegregated housing. Shelvin Louise Hall graduated from Boston University School of Law, and became a civil rights lawyer, receiving training through the NAACP Legal Defense and Education Fund. She was part of the first law firm run entirely by African-American women, in Houston, before she was appointed to the Illinois Circuit Court in 1991, and then to the Illinois Appellate Court. “It was a pivotal moment in my career, hearing him talk,” she said. 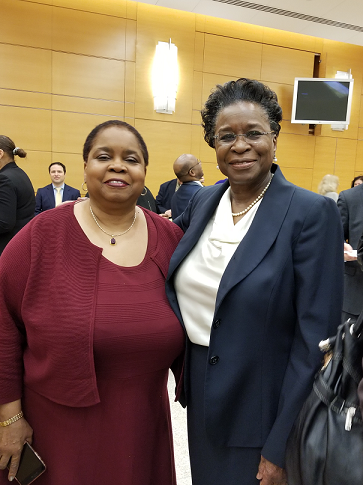 Retiring Justice L. Priscilla Hall (right) with her sister, Honorable Shelvin Louise Marie Hall, who sits as an Appellate Judge on the Illinois First District Appellate Court. Her sister, L. Priscilla Hall, graduated from Columbia University, receiving first a master’s degree in journalism and then her law degree. She became a New York City judge in 1986, a New York State Supreme Court justice and finally a judge in the Appellate Division. She presided over one of the most horrific child abuse cases in New York City, the killing of 7-year-old Nixzmary Brown in 2006 by her stepfather. The child’s death led to an overhaul of the city’s child welfare system and led Hall to volunteer to serve in the state Family Court. But for all of their personal success, the sisters are troubled by the state of the country. 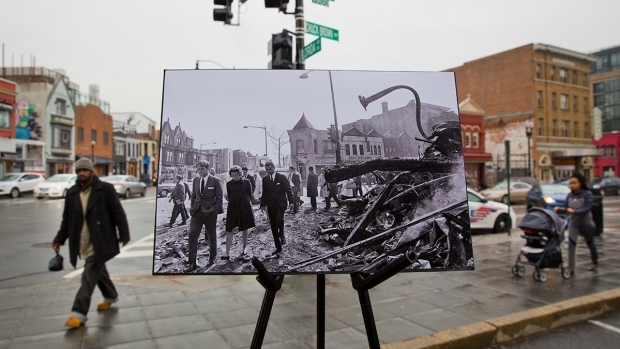 They thought the it would have made more progress in the 50 years since King’s work, when segregation was being dismantled and housing and jobs were becoming available. The oldest son of Martin Luther King Jr. says the "American Dream is decidedly a nightmare," as the country celebrates the civil rights leader. But the activism shown by young people, from Black Lives Matter to the Parkland, Florida, mass shooting survivors, is phenomenal, they said. “And a child shall lead them,” said Shelvin Louise Hall, quoting Isaiah in the Old Testament. June Clark, an artist from Harlem, left the United States after King’s assassination, both because she was disillusioned with the country and because her husband was dodging the draft. She eventually moved to Toronto and became an artist. Yolanda Renee King, the granddaughter of Martin Luther King Jr., spoke to the crowd at the March for Our Lives rally in Washington, D.C.
She returned temporarily in 1996 after receiving a one-year residency at the Studio Museum in Harlem. Among her projects was a documentary in which she asked people on Harlem’s 125th Street about how King had affected their lives and what they thought of the different approaches by King and Malcolm X. Their responses ranged from ignorance about King to continuing sadness about his death. “Some people said his life hadn’t changed theirs one iota and other people talked about how proud it made them and how they felt about being black,” she said. As far as the United States now, she is making several pieces for a new exhibition. One she calls “Unrequited Love,” of an American flag and a young child reciting the Pledge of Allegiance. But like the Halls, she is heartened by the young people demonstrating. She thinks King would have too. “I think he would have felt quite proud of these young people, white and black who are marching,” she said. A year after Shelvin Louise Hall met King, Michael Louis Pfleger, then a high school junior in Chicago, rode his bicycle to Marquette Park and saw protesters throwing rocks, bricks and bottles at King and the other marchers. “I never saw so much hate in my life,” Pfleger, now the senior pastor at the Faith Community of Saint Sabina in Chicago and a leading voice against violence, told a church newsletter. Pfleger will be the keynote speaker at the former Lorraine Motel on Wednesday as part of the commemoration of King’s slaying. He has dedicated himself to King’s principles of nonviolence as a way of life, teaching them to young people in Chicago, even as they are surrounded by some of the highest rates of gun violence in the country. They in turn have shared them with the students from Marjory Douglas Stoneman High School, who survived the massacre there and who are now demanding stronger gun control. Most of the violence in Chicago occurs in the same communities King was trying to help, still struggling with high poverty rates, double-digit unemployment, underperforming and underfunded schools, a lack of affordable housing or resources for mental health, he said. They are abandoned and neglected. 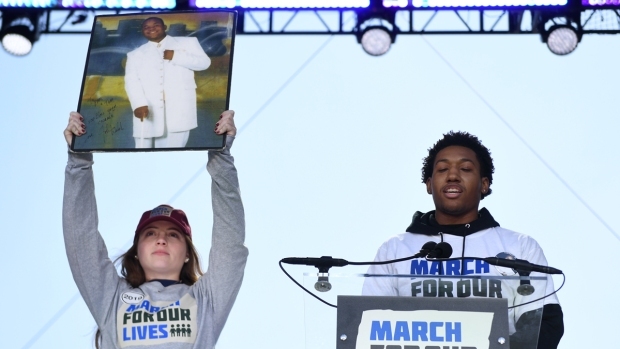 What gives him hope now are the young activists, who have come together across racial and economic divides and who are threatening to vote out politicians who toe the NRA line and reject gun control. Chicago student Trevon Bosley speaks as people gather at the March for Our Lives Rally in Washington, DC on March 24, 2018. Galvanized by a massacre at a Florida high school, hundreds of thousands of Americans are expected to take to the streets in cities across the United States on Saturday in the biggest protest for gun control in a generation. Bosley, a sophomore at Southern Illinois University, Edwardsville, where he is studying electrical engineering, became involved in an anti-violence group called the Brave Youth Leaders. They tutor, put on basketball tournaments and organize peace marches and voter registration drives. Bosley knows that other people react to violence by joining gangs or seeking retribution. He remains angry that no one was ever arrested in his brother’s killing and has escaped any consequences. 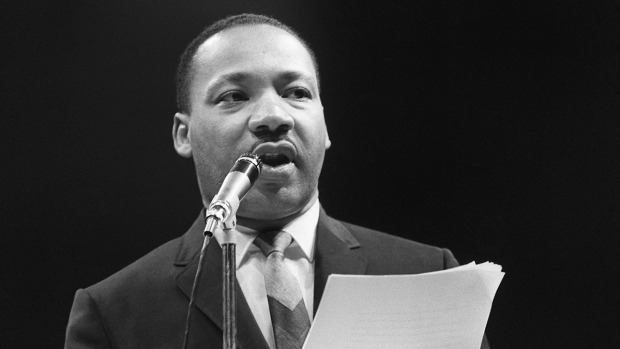 For those who are discouraged or impatient, he would remind them that King advocated for something many thought would never come: civil rights. He is excited about the new push for gun control, and hope officials heard his plea for more funds for Chicago’s neighborhoods, not just tourist attractions. And he is happy that the Florida students included so many others in their movement. 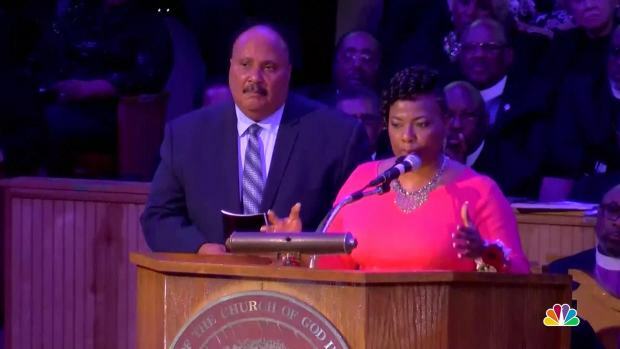 Dr. Bernice King, the youngest daughter of Rev. Martin Luther King Jr., speaks at the Mason Temple of the Church of God in Christ alongside her brother, Martin Luther King III, on the 50th anniversary of their father's "Mountaintop" speech.